Beginning in 2016, The Chemical Company (TCC) team launched a mission to bring back a love of chemistry to our business relationships and to our communities. On Wednesday, April 27, 2016, the Science Club from Jamestown School organized by teacher, Jim Kaczynski visited The Chemical Company headquarters for the first annual “Kids Be The Chemists Day”. “Kids Be The Chemists Day” is an event designed to present new opportunities that are available for younger generations that have an interest in finance, trade, and chemistry. It is part of a larger initiative spearheaded by TCC, a campaign known as “Love Chemistry” with an overall mission to volunteer in communities and participate in activities to promote the love of chemistry to future generations. The “Kids Be The Chemists Day” event began with TCC President, Robb Roach leading a guided tour of the TCC headquarters while explaining the inner workings and responsibilities required to function as a successful global chemical distributor. 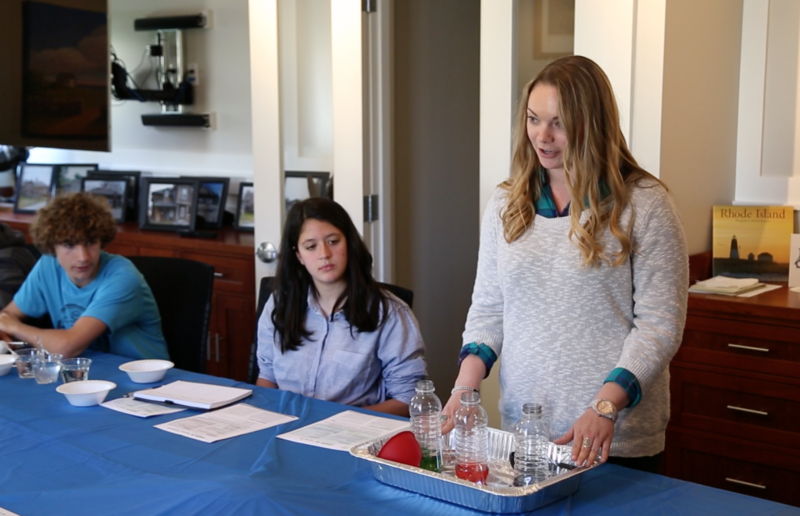 Following the tour, TCC digital marketing manager, Jessica Baker, and marketing & sales support coordinator, Kaitlyn Hagan safely performed chemical experiments while sharing their experiences working in the chemical industry. The event concluded with snacks and an open forum for the attendees to ask the TCC sales team, also known as chemists enthusiasts, questions about their experience and their road to joining the TCC team. Experiment: Elephant Toothpaste – Chemical Reactions! Office tours while discussing travel opportunities within the chemical industry with TCC Digital Marketing Manager, Jessica Baker & Product Manager, Thomas Guadagno.